Ever drilled a hole with a bit that was meant to be ‘exactly’ the right size, only to find the hole either too large, or too small? Ever taken every care measuring the length of board to be cut, and found the result disappointingly long, or worse, too short? 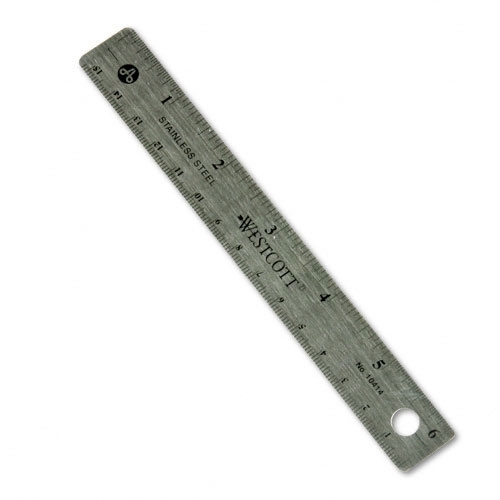 Just how accurate is a ruler? In the scientific, and particularly the engineering community, every measurement is given a tolerance range (+/- 1mm for example), every tool has a tolerance range, a degree of confidence. There are reasons why this sort of constant monitoring of precision is not translated into woodworking. For one, it is cumbersome- constantly focusing on accuracy can get in the way of the work. Wood is also rather forgiving- it compresses, there are fillers (and filling techniques), glue can span small gaps, nails can span large ones. But this doesn’t mean that there is not a lot of benefit to be derived from understanding measuring accuracies, the sources of error and how to control it. When you are building a house, having a measurement out by 5mm or more is not the end of the world, and the measuring tools used reflect this. If you are making a fine box however, 5mm is an unmitigated disaster. 1mm is a disaster, and is the difference between a fine box, and one made by a 10 year old in a woodshop class at school. We’ve heard the general rule about not changing what we are using to make the measurements during a project, so as not to introduce an error, but there is an underlying issue there that is glossed over. The accuracy of the device we are using, and while we are at it, let’s ignore the additional errors introduced by thermal expansion. Any rule, or other measuring device, cheap or expensive has an error. The more you spend, generally the smaller that error is, but it never goes away. Every drill bit, every spanner, bolt, protractor, tape measure, setting block, square. They are all in error. How much they are out, is the difference between whether we can accept the amount of the error or not. 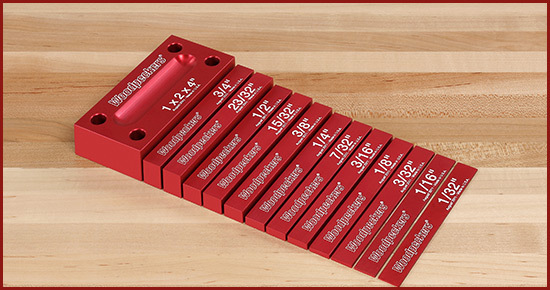 A quality rule, such as one from Woodpeckers are manufactured to be accurate to within +/- 0.025 mm, which for a woodworker’s requirements is pretty good. So if I was to measure the width of a board, does that mean I can be assured that it is (for example) 100mm wide, +/- 0.025mm. Sorry – not even close! Just because a rule may be manufactured with a high degree of accuracy, it always relies on one other tool – the eyechrometer. (Your eyeball!) The rule for measuring inaccuracy, is you cannot assure an accuracy any better than 1/2 the distance between the two smallest measuring marks. And the error compounds. If I used a normal rule, where the markings do not extend right to the edge, and the rule has markings every mm, then the best I can say is the board is 100mm wide, +/-1.025mm Yuck! Might explain a few things in the workshop though, when things go wrong. The width of a board is measured as 100mm. The fence on the tablesaw is set to 100mm, and a piece of timber ripped, then laid it on top of the current board, and both stood on edge on the top of the saw. Why are they not the same width? Didn’t I do everything right? Error has crept in. My original measurement of 100mm is +/- 1mm, so the actual board is somewhere between 99mm and 101mm wide. Let’s say it is actually 101mm. The next board that I rip has been set on the tablesaw, which has its own error of +/-0.5mm, so this board can be anywhere between 99.5mm and 100.5mm. My cut board can now be anywhere between 99.25 and 100.75mm! The difference between the board I measured, and the one I cut could be out as badly as 1.75mm. I’m back in my 10 year old woodworking class, and I was being CAREFUL! Am I doomed to failure? No: by understanding error, error can be controlled, and minimised. For one, a rule that has markings extending right to the edge immediately halves the error in measuring. You can feel it is flush with the edge, rather than eyeballing to see the edge is lining up with a marking on the rule’s surface, so that measurement is regarded as accurate. So the board is now somewhere between 99.75 and 100.25mm Already quite a bit better than 99-101mm. I use the same rule to set the fence to blade distance on the tablesaw, and by knowing the amount of runout of the blade, that error is also taken into account and controlled. My overall error is controlled, and the resulting board is now also 99.75 – 100.25mm . At worst, the difference in widths of the two boards – the one measured and the one cut is down to 0.5mm. At worst. Probably less, as error is worst-case scenario stuff. The board is 2m long. Or is it? 2000mm +/- 15.4mm!!!! How on EARTH did a cheap’n’nasty tape measure absolutely thrash a steel rule? Simple – every time the rule had to be moved, the error compounded. The steel rule is too short, being only 150mm long, so it had to move a total of 14 times to measure the entire length of the board. Each time, it is +/-1.1mm (because it has 1mm graduations, and the rule itself is already +/-0.1mm) The +/- 15.4mm is a confidence level – you can be sure the length is between 1984.6mm and 2015.4mm. It may be exactly 2000mm, but you cannot say that with certainty. And if you measured it again, it probably wouldn’t come out the same. What is it they say – measure twice, cut once? But why is that? One big part is that if you repeat the measurement, you might pick up an error you made first time, a total misread. It also increases your sampling, and you can start to average out the measurements. 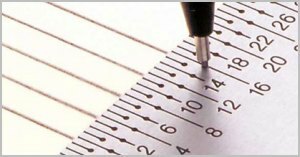 If you measure it twice, and get it to be 0.1mm different, you can increase your confidence you are getting a good reading of the actual width of the board. How many times is enough? How accurate is your rule, and how much variation are you getting each time – at the point you are confident of the measurement, then you are done. If I measure something twice, and I get the same measurement each time, that’s typically good enough. If I was needing some very fine tolerances, such as in precision metal working, 2 is probably no where near enough, and I’d be better off 3 or 4 times, even more, and over an area rather than in the same place. It all depends on how accurate you want to be. Now you’ve probably been reading all the above and thought “B.something rude”, I can be more accurate than that, and I’m sure that is right. Personally, I’d say I could take a mm rule, and be pretty close to 0.25mm accurately. But the point is, confidence and repeatability. Repeatability from one job to the next, repeatability from one day to the next, repeatability from one tool to the next. Repeatability from one person to the next. But you don’t work with anyone else? Never used someone else’s plans? They were made by a real person, with their own error rate. May not be a big deal, but still worth keeping in mind. With all that in mind, what do you do? All this has focused on the right tool for the job, and is not saying one person can be more accurate than another. It also looks at being as precise as you need to be. I’d love to build a house to 0.1mm accuracy. But it is not practical (or affordable!) Would be a stunning house though! There are other ways of dealing with sizing timber correctly. One I do regularly is to cut the first board close to the right length, then mount two together and cut them to the final length simultaneously. This works particularly well when it doesn’t specifically matter how long the two boards are, so long as they are equal. The Kerfmaker is an exceptional jig for what it is designed for, taking account of board width, saw kerf, blade runout, all without a single rule or scale. Another useful tool is the story stick, whether this be a simple stick with some marks drawn on it which you then store until the next time you need to make the part in question, or a commercial one which is excellent for the current project, but you don’t keep it dedicated to a single project. 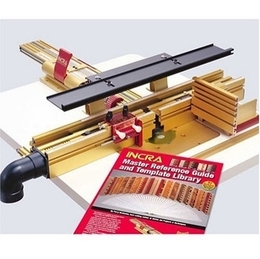 If you want to get into the seriously accurate tools, then the Incra LS positioner, either on the router table or the table saw (or drill press) is one of exceptional accuracy. With the ability to position a fence to within 0.025mm of the required measurement is exceptional. To be able to do it repeatably because of the unique design is quite unbelievable. I have the LS positioner on my router table (love that fence), and am very keen to have one on my tablesaw one day. If you have ever done any car or motorcycle maintenance, then the concept of a feeler gauge would be quite familiar. 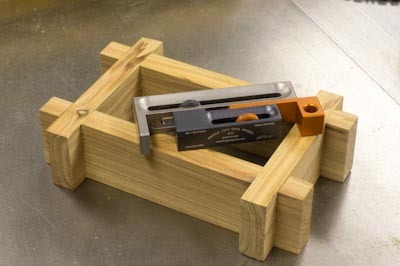 Woodpeckers have decided to produce a limited run of an equivalent tool for woodworkers. Called Set Up blocks, these are being produced as part of Woodpeckers One Time range- they will be made to order, and then (at this time), never again. If you are in Australia, you’ll need to order by the 27th June to be part of the manufacturing run from Professional Woodworkers Supplies – cost is $96.50 for the 7 piece metric version (imperial set shown). The sizes are 0.5, 1.0, 2.0, 4.0, 8.0 and 16mm and there is an additional block which is 25x50x100mm. Like feeler gauges, these can be doubled up to get all the other measurements required. Looks a very cool set- it will be very interesting to see how they work for real. The accuracy of a digital calliper, and no batteries required! So that is just a brief look into the world of precision, something I am particularly partial to, (and hence why I have a reasonable collection of Incra and Woodpecker. Quality costs, as does accuracy, but it is a great feeling when you absolutely nail something precisely. Precision requires precision tools, there is no two ways about it. Whether it is assuring that your square is square, your plane blades are honed to just the right angle, straight edges are straight etc, it is beneficial to have a true surface to reference off. Taking that one step further, where it comes to sharpening particularly, if you are relying on a flat surface to create a reference plane (either the surface you use to dress your waterstones for example, or a surface to conduct the Scary-Sharp technique), then you need a surface who’s flatness is assured. And what better way than a solid slab of granite? You can get it wet without fear of rusting, it is dimensionally stable through a wide temperature range, and is comparatively inexpensive. I picked up this tool from Carbatec – a Granite Surface Plate. Measuring 300x230x50mm (12″x9″x2″) and weighing in at around 12kg, the real significance comes in when you look how flat it is. It comes with a certificate of testing, and in this case, the block has a variance of 0.00008″ (2.1 microns, or 0.0021mm) over 7.5″. So she’s pretty flat. In recent times, it has become quite a fad to take a tool and whack a laser into it as if that will make it a better tool. For some tools, this is just plain silly – a jigsaw with a laser for example makes a mockery of a potentially quality tool. Some tools (like jigsaws, bandsaws etc) track (cut at an angle) – that is their nature, and there are a variety of reasons why that is so. What it means though is they will never follow a laserline, so it is pointless having one. However, and this is a big HOWEVER!, there are tools that can really benefit from the use of a laser to not so much improve their accuracy (although this can be the case) but to significantly improve their ease of use. The drill press is definitely a tool that falls into this category. Of course, you don’t need a laser to make accurate use of the tool – I’m certainly not claiming that, but I had a job just recently where I wished I had a laser positioner on the drill press. I was using a forstner bit, and I wanted it to be precisely centred on a mark, and in the end I had to guess that I was close enough. I’d rather not have to guess! Now you don’t have to go out and buy a new drill press (and really, there are not many that come with a built-in laser). Instead, there is a very easy retro-fit that takes a whole 15 minutes to accurately fit and align. The unit comes from Professional Woodworkers Supplies and costs $140. It is powered by a single 9v battery. Now I know that all sound like a typical sales review, but I do know there is a lot of resistance out there in certain corners to lasers in woodworking, and the inappropriate implementation in some instances has tainted the technology in other areas, so I wanted to justify the viewpoint. The kit comes with the laser module, a couple of different size hose clamps (for different size drill press posts), a hex key, an alignment bar, and some easy-to-follow instructions. The hose clamp feeds through a couple of slots in the back of the unit, the V shape of the unit means it centres on the drill press post when the clamp is tightened. The two lasers are adjustable to ensure they are vertical, and also so they meet at a specific point. Laser mounted. It is completely out of the way, so will not interfere with drill press operation when the laser is not required, and the retro-fit is completely reversable. It’s a bit hard to see in the photo (the camera doesn’t see the laser as easily as the eye), but the laser is now centred directly below the centrepoint of the drill chuck. In this photo, you can also see the alignment bar mounted in the chuck. It has a vertical slot cut for the first part of the laser alignment, and then the end point of the bar is used to mark a point that the lasers are aligned so they cross precisely at that point. It is not something I will use for every hole, but it is going to be indespensible when I do need it and who know, I may find that I start using it every time I use the drill press! From the left side, heading clockwise, is a digital protractor (accurate to 1/10 degree), digital angle gauge (also 1/10 degree), the Woodpeckers Saw Gauge (accurate to 1/1000″, or 0.02mm), a digital height gauge (0.1mm), Incra rule (0.1mm), and Incra square. In addition, there is the Wixey Digital Fence Gauge, and of course the tablesaw itself is part of the picture (figuratively and literally), and that is also deliberate. 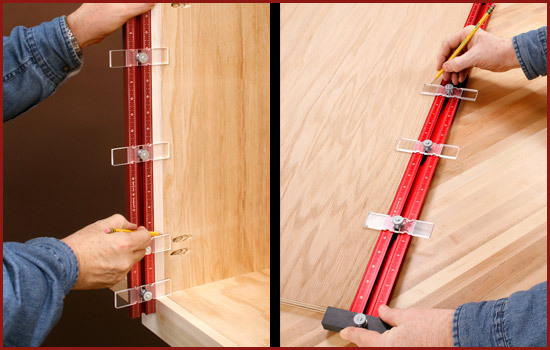 No point having accurate measurements if the tools themselves are not part of the equation.